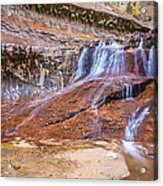 Zion Waterfall galaxy s8 case by Pierre Leclerc Photography. Protect your Galaxy S8 with an impact-resistant, slim-profile, hard-shell case. The image is printed directly onto the case and wrapped around the edges for a beautiful presentation. Simply snap the case onto your Galaxy S8 for instant protection and direct access to all of the phone's features! 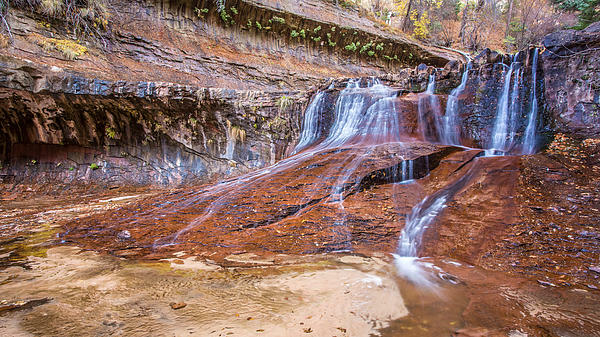 There are no comments for Zion Waterfall. Click here to post the first comment. 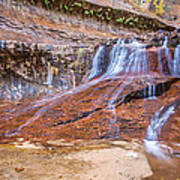 Water cascading on red rock in the backcountry of Zion National Park, Utah in Autumn. 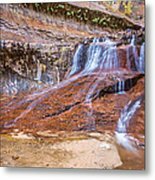 This waterfall is in a deep and spectacular canyon on left fork of north creek on the way to the Subway and can only be reach in all day hike that requires a permit.